In primary care, we often make recommendations to our patient based on population-level data. We may prescribe an antibiotic that is not traditionally first line, based on local bacterial resistance patterns. We may recommend a Hepatitis C screening to a baby-boomer, despite limited or non-existent risk factors for that individual, because it is a level A recommendation. Or, we may write for 40mg tablets for a patient who only needs 20mg per day because it will cost them half the price, trusting that they will break the tabs in half. Often we will dreadingly prescribe a medication with worse efficacy because a patient’s insurance plan will not pay for the one we know will work better for that patient. Seldom, but certainly true, we may prescribe a different formulation of a drug to patients due to national shortages of another formulation. The medical marijuana industry has introduced a new potential conundrum, which might warrant a discussion of recommendation habits/patterns based on considerations outside of those inherent only to the patient. As with the last example above, our patients’ access to medicine depends on the capability/ability of manufacturers (or, for our purposes, growers) to supply an adequate amount. The following phenomenon does not occur in traditional-western medicine because of the ability to prescribe EXACT dosing. 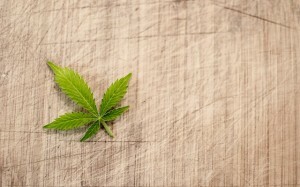 However, in the medical marijuana industry, one patient’s pattern of consumption might actually “eat into” another patient’s recommended medication supply. If patient A assigns his/her standard 6 plants to a dispensary/care-giver but decides to make edibles with his/her product, the dispensary will have to dig into patient B’s plants to supply patient A, hoping that patient B uses less than what they were “prescribed”. Therefore, it is conceivable, that a smaller dispensary and/or caretaker with only a few patients, may run into trouble with their supply if they go through a season with several types of “patient A”. In theory, any patient with a legitimate plant count might actually be under-supplied by their grower if other patients (who maybe just got the standard count because of cost constraints, knowing they’d consume more than 6 plants can possibly sustain) consumed more than their recommended plant amount. Would it be fair, therefore, for us as physicians to consider making a recommendation to an individual patient based on population trends to assure that our patient has access to adequate medication? And would doing so be much different than what we do in traditional-western medicine based on population-level trends? Is it justified to recommend a plant count to a patient not just based on their individual consumption needs but also on the consumption patterns of the patient population that is assigned to that patient’s grow/dispensary/care-giver? If a patient only consumes 50 plant equivalents but their care-giver asks them to request 65 because there was a problem with the last harvest (i.e. fungus/pest infestation, over-consumption by another patient, influx of new patients whose plants have not been planted yet, etc.) so they can have an adequate supply, is this a population-level consideration that would be fair to make; just as we make them in the traditional-western medicine examples above?